Hibike! 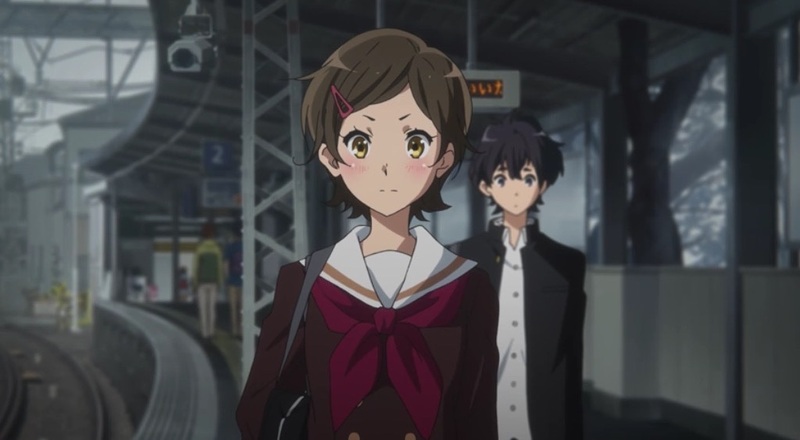 Euphonium: The most visually attractive anime this season? K-On! in a high school concert band setting. That was the first impression that came to my mind when I first saw Hibike! Euphonium's promotional art and video. Knowing that Kyoto Animation was the studio behind this had me sold too, having watched Amagi Brilliant Park and K-On! ; along with its sequel and movie before this. It's 10 episodes into Hibike! Euphonium and my first impression could not have been further from the truth. So if you're expecting the usual gamut of cute girls saying cute things while doing cute things and a clubroom filled with hot tea and desserts, look elsewhere. For anime lovers, it's an exercise in visual perfection (a mirror in the background reflecting the characters' backs, for example). That's just one of the many details that Kyoto Animation did not need to include but did so for the sake of realism and perhaps to satisfy the director's need for perfection. For viewers who have had experience in an orchestra/concert band, it adds another layer of depth. Personally, I spent my primary and secondary school days in the concert band and can relate to the many issues that the protagonists face. From not taking practice seriously to the many internal conflicts that arise, Hibike! Euphonium displays these problems spot on. Essentially, that's what the premise of this slice-of-life series is. Kitauji High School's concert band aiming to compete in the Nationals while tackling the problems that members face along the way. Some of these include the band's own lackluster past, motivating members to practise and a new conductor's (understandably) radical methods. 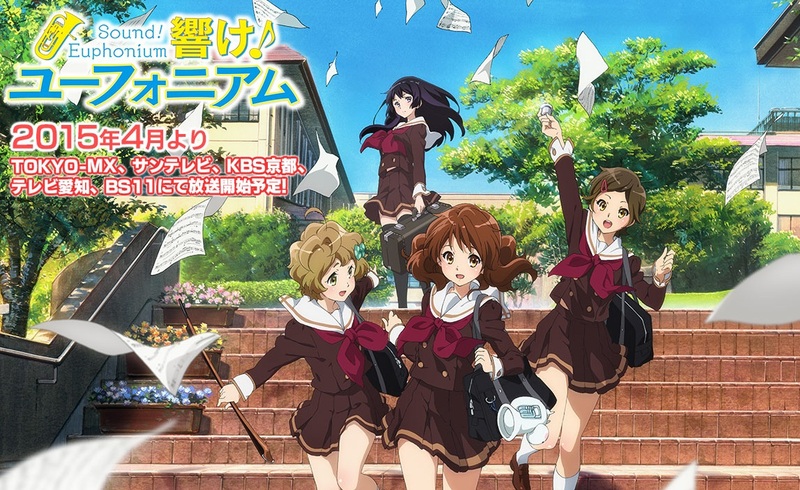 Although Kitauji High School's concert band is made up of 50-odd members, the anime focuses on a select few, with screentime mostly belonging to protagonists Oumae Kumiko, Kawashima Sapphire, Katou Hazuki and to a lesser extent, Kousaka Reina. They aptly fill the archetypes that you'll normally find in a concert band, with Hazuki probably the one that most people can relate to, being a complete newbie to the scene and joining almost on a whim. The other three are experienced musicians, with Kumiko and Reina coming from the same middle school even. However, don't expect the supporting cast to be bland and generic, they are anything but that. I like how multi-faceted and interesting they are, just like any person in real life. From vice-president Tanaka Asuka's initially playful and mischievous facade being stripped away to reveal a focused and determined musician to seemingly cold and aloof characters doing a 180-degree personality change. At this point in the show, they even threaten to upstage the main quartet who have the most screentime. On the flip side, I find that Hibike! Euphonium appeals to a niche target audience. Firstly, the slice-of-life genre isn't for everyone, with the main argument being that you could actually go out and experience these situations instead of staring at a screen. Secondly, a concert band setting isn't familiar to the average Joe and people might struggle to relate with some of the situations these characters face. An outstanding one would be seniors and juniors vying to play the solos for a piece. Holding auditions would appear to be the fairest way to solve that dilemma but the anime shows that it creates a whole new set of problems as well. All in all, I've found Hibike! Euphonium to be a nice break from the usual action-packed and fast-paced shonen anime that I watch. It's also the first anime I've watched that's set in a high school concert band, making it extremely relatable both musically and socially. Even if you're not a big fan of the slice-of-life genre, give it a shot for the amazing cinematography and painstaking attention to detail. It's also probably the only time where I went 'Wow! They actually animated the dust particles in the room?'. No Comment to " Hibike! 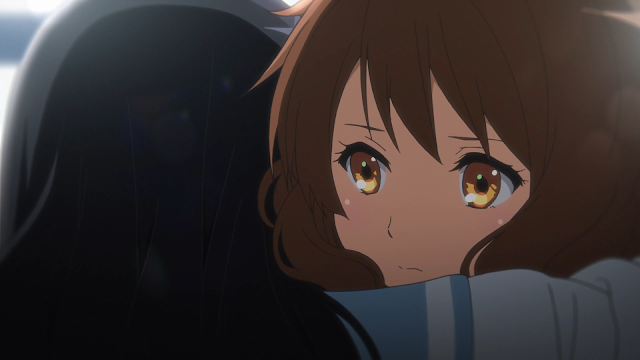 Euphonium: The most visually attractive anime this season? "